While investigating a series of suspicious bear killings, a group of students track a mysterious 'hunter' who wants nothing to do with them and attempts to shake them off his trail. “Do you think Michael Moore gave up after the first try?” asks Thomas determinedly. As the hunt gains ground, the students realise that their search is far more dangerous and mystical than hunting mere bears, leading them on a mesmerising thrill ride of awesome effects, pitch perfect performances and laugh out loud humour. So we’re back in familiar terrain on this one - for a little while at least - as the well-worn sub-genre of ‘found footage’ thrillers rears its head again. You know the drill by now, shaky cam horrors are a cheap and effective way of making movies, but in a world besieged by Blair Witch rip-offs, you have to be a little more creative if you’re going to make a splash. Enter André Øvredal, who not only makes the most of the beautiful Norwegian landscape, but also has the resources to back him up on the effects front - think Cloverfield with a huge dose of quirky charm. Used sparingly and effectively throughout, the special effects are nothing short of amazing. You don’t have to be an expert in Norwegian mythology to keep up, but if you’re looking for edge of the seat excitement and magnetic monster mayhem, Troll Hunter is quite the road trip from start to finish. What really sets the film apart is a quirky sense of humour and surreal charm – who knew Norwegian’s could be this funny? The students are a likeable bunch, even if Thomas (Glenn Erland Tosterud) is the only member of the group to benefit from the shaky-cam styling, but that’s the way it goes when you spend most of the movie on the wrong side of the camera. His two buddies are given a lot less to do, but they both get their time in the spotlight, with one in particular benefiting from the best running gag of the movie. Our weary hunter, Hans (Otto Jespersen), is the most fleshed out of all the characters, and he’s also the most rewarding. With a dry sense of humour that emerges as the film gains ground, Jespersen engages from start to finish with a mixture of deadpan exuberance, impeccable comic timing and wily grace. Strong performances are helped by a humorous script, with Troll Hunter stopping off to take bites at Scandinavian politics, local mythology and funniest of all, the Christian faith. Subtle humour is often the most rewarding, so when attempts are made by local authorities to cover up the existence of trolls, the scene is set for utter incompetence and comedy mileage aplenty. One word of warning though, a Hollywood remake is already in production. How that’s going to work? 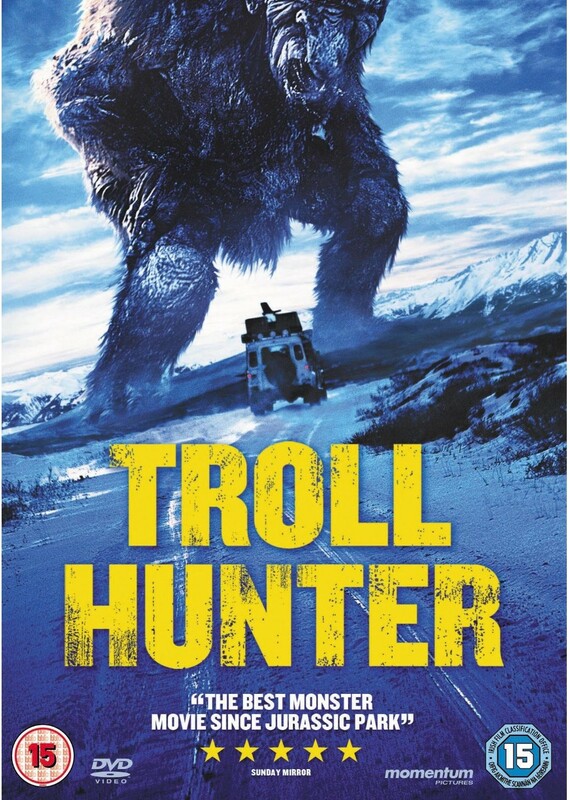 With lots of exposition to wade through, Troll Hunter does drag its heels from time to time, but you wont have to wait long for the next burst of brilliance. With stunning effects, lush scenery, strong performances and an inventive screenplay, André Øvredal’s second feature is one of the strongest and strangest horror movies of the year. Altogether now, “Troooolls!”.